Hi Sharon here again and Saturday means a new SMAK & LOL post. Have you seen this month's kits? Another pair of gorgeous stamp kits. 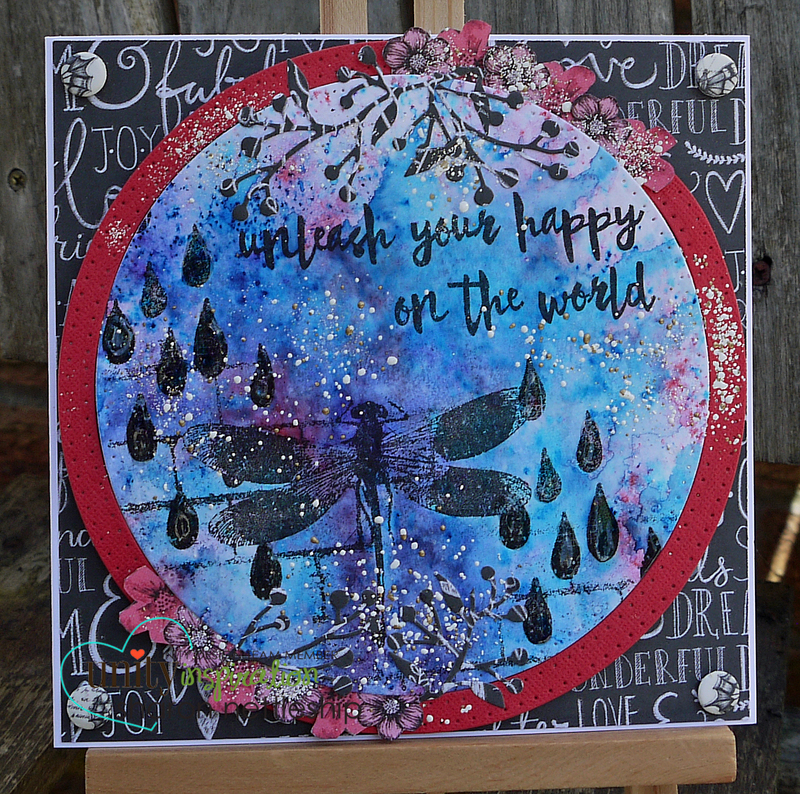 So I made a card using the May's SMAK kit. 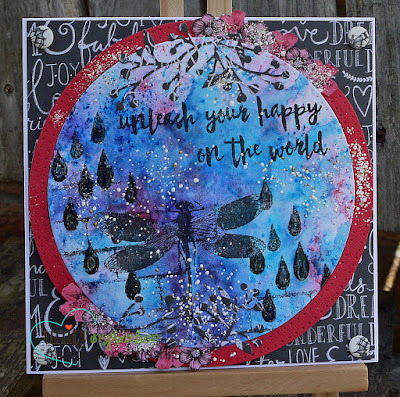 I stamped the dragonfly, drops, bricks and sentiment in black ink. I then went over them to make a background with Brushos and water. Layered the images onto a dusky pink cardstock and adhered it all to patterned paper. I then fussy cut some flowers from another patterned paper and adhered them around the circle. A couple of die cut branches were then added. And to finish it off I used some frantage to lighten the whole card up. If you would like to look into joining the SMAK kit details can be found here. And the LOL kit details are here.